"This should not have happened". Minneapolis Police Chief Janeé Harteau has said Australian police shooting victim Justine Damond "didn't have to die", as she distanced her department from the officer who took the fatal shot. Speaking publicly for the first time since Damond was killed on Saturday night, Harteau described the shooting as "the actions and judgement of one individual" and vowed to tighten police training and body camera policies. "This should not have happened... Justine didn't have to die," she told a press conference on Thursday evening local time (8:15am AEST). "I believe the actions in question go against who we are as a department, how we train and the expectations we have for our officers." Justine (Ruszczyk) Damond was unarmed and wearing pyjamas when she was shot by Officer Mohamed Noor from his police squad car, who had responded to Damond's 911 call about a suspected sexual assault in the alleyway behind her Minneapolis home. The Hennepin County Medical Examiner has ruled her death as homicide, confirming that she died of a single bullet wound to the abdomen. It has been reported her family in Australia is planning to launch a lawsuit against the City of Minneapolis over the shooting. The family has hired high-profile U.S. lawyer Robert Bennett, who represented the family of Minnesota man Philando Castile after he was gunned down by a policeman during a traffic stop last year. Harteau said Noor had completed his training "very well" and was "very suited to be on the street", but she would continue to look into ways to enhance police training. 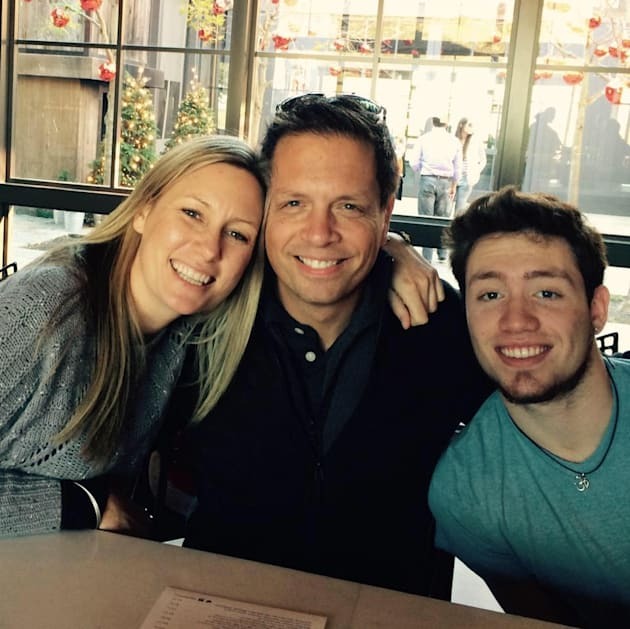 Justine Damond with fiancé Don and stepson Zach. Police Chief Harteau has spoken to Don to assure him there will be a full investigation into the shooting. She also vowed to strengthen the force's practices around the use of body cameras. All Minneapolis police are required to wear body cameras, but neither Noor or his partner Matthew Harrity had their cameras turned on when Damond was shot. The squad car dash camera was also off at the time of the incident. "Based on the information the BCA (Bureau of Crime Apprehension) has released... it is my belief the body cameras should have been activated," Harteau said. "We're making changes to strengthen the existing policy to ensure that cameras are on well in advance of the situation." All Minneapolis police have worn body cameras for the past eight months and are expected to switch them on whenever they're responding to an active situation. But Harteau said she will now look into automatic systems for turning the cameras on, including automatically activating them when the squad lights are turned on and when they remove their gun from its holster. A member of Noor's family has told News Corp that the shooting was an "unfortunate" mistake. "We feel so bad about this, we are traumatised ourselves," a family member said. "If you wait for the investigation you'll know it was an honest and sincere event that transpired. Until then we can't ­really say anything." Noor has refused to speak to investigators from the state's Bureau of Criminal Apprehension (BCA) and he can't be compelled to. But the Minneapolis police's own internal investigation, which will commence once the BCA hands over its findings, can compel him to speak and he can be fired if he refuses. In a statement, the Ruszczyk family said they hoped to bring Justine home to Sydney's northern beaches "to farewell her in her hometown among family and friends". Relatives, neighbours and community members joined a protest march in Damond's home suburb of Fulton, Minneapolis on Thursday evening (Friday morning AEST). The Australian woman's fiancé Don led the march, and saw seen embracing the mother of 2016 police shooting victim Philando Castile, Valerie, as onlookers brandish signs reading 'Justice for Justine'. Don Damond had earlier criticised police for lack of transparency in their investigation into why his bride-to-be was shot.